Ok I admit it…I may have a small problem when it comes to shopping for beauty products at Christmas. I can’t resist the packaging, the limited editions and the gift sets. Especially Advent Calendars. My only peeve with most advent calendars is that they are full of miniatures and sample sizes. Beauty Expert have come up with a beautiful solution for this. 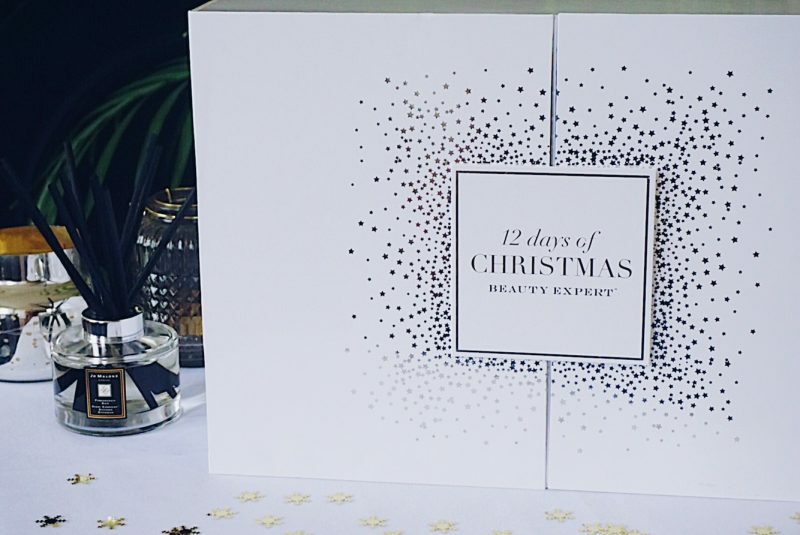 A limited edition 12 Days of Christmas beauty calendar stocked with full-size products. 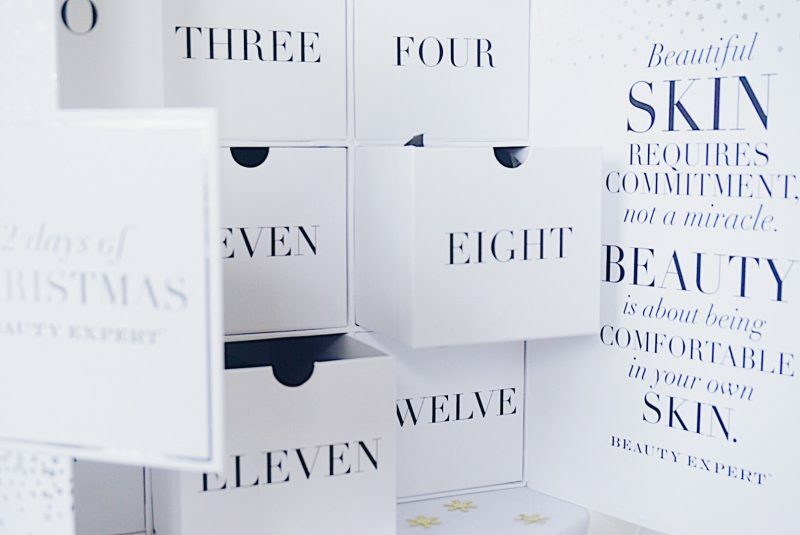 Making the perfect treat for yourself or to give as a gift, the premium calendar includes a total of 12 luxurious products across skincare and body care. 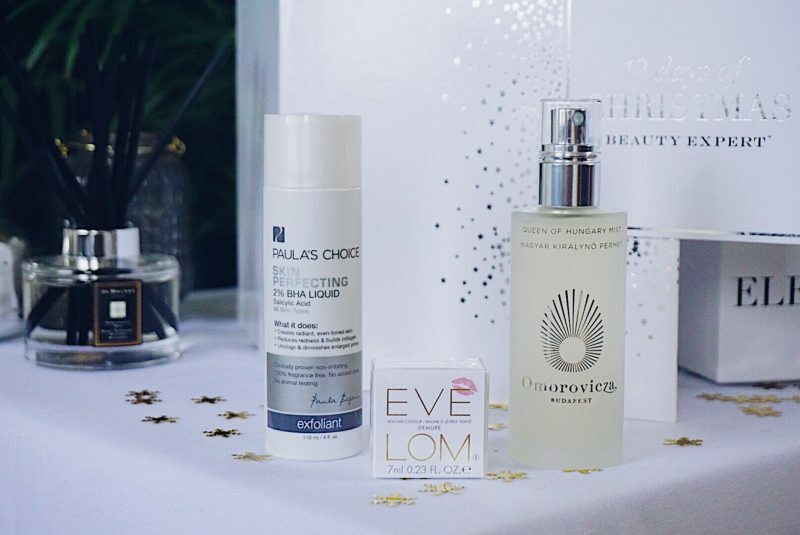 Containing a range of the most coveted brands and encased in a beautiful unit it is perfect for storing beauty essentials in after the festive period. 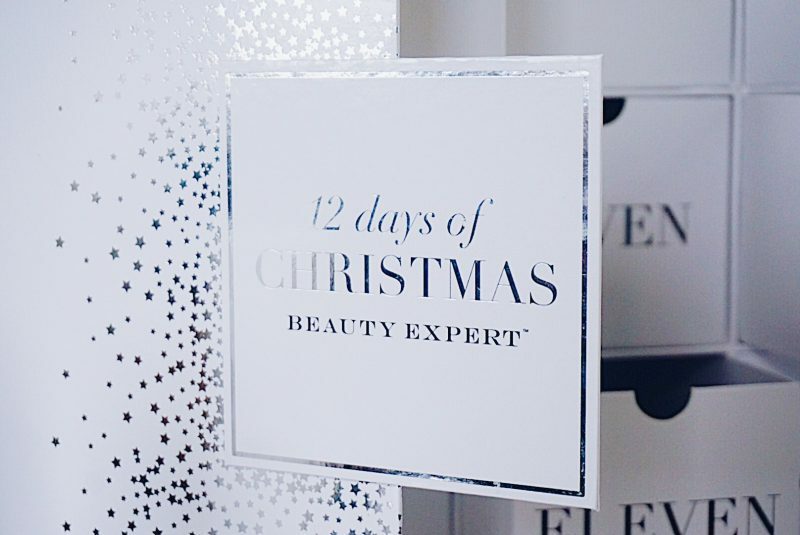 Complete with a full-size, luxury beauty treat for each of the 12 Days of Christmas. It’s the perfect gift for yourself or a loved one. Worth £349.99 – priced at £100. SPOILER ALERT: I’ve chosen a sneak peek of three of my favourites from the advent because I don’t want to spoil the whole surprise for you if you decide to get one…don’t scroll down if you don’t want to know what is in the calendar! There is also a full brand listing at the bottom of this post. Fast becoming a cult classic and a handbag essential, this beautifully scented spritz is formulated with the brand’s signature Hungarian thermal spring water. Loved by the editorial big shots at the likes of Vogue, the spray is a multi-purpose face mist inspired by the Queen of Hungary Water – the world’s first recorded perfume. Eve Lom’s original Kiss Mix is loved my makeup artists, celebrities, models and bloggers alike. Infused with moisturising Beeswax and cooling Menthol, it’s ideal for giving your lips both a burst of hydration and colour. An essential for both the winter months and the party season, this multipurpose lip balm can be worn under lipstick as a primer, over lipstick as a gloss or alone to give a soft, pearlised sheen. Shrink pores and renew skin with this exfoliating fluid fortified with salicylic acid. Absorbing quickly into the skin, the leave-on exfoliant targets both the skin’s surface and deep down, sloughing away dulling dead skin cells whilst penetrating inside the pore to reshape and unclog deep within. Redness and blemishes are addressed and reduced. Its lightweight texture delivers deep exfoliation and increases cell turnover so skin looks renewed and radiant with a more even tone. Salicylic acid harnesses antioxidant properties and increases collagen production; the appearance of wrinkles are reduced and skin feels firmer, healthier. How to get your hand on the 12 Days of Christmas collection? PR samples included. Affiliate links used - view my full disclaimer HERE.